The question should not surprise anyone who watched the video of the ambush and cold-blooded murder of LaVoy Finicum at the hands of the US government. However, let me caution that the information is suspect that follows. I have been completely unable to confirm whether or not a handgun was planted on Finicum’s body or whether or not he was, in fact, shot 9 times. Yet, I think it appropriate to hold in check until it can be verified reports that are now going out concerning this information. Well, LaVoy’s body is home now… I’m absolutely sickened, LaVoy was shot 9 times, there will be no open casket, the FBI shot him in the face… Right after it happened I put out a call for the serial # off the 9mm the FBI claims he had in his pocket. The Pacific Patriot Network just sent me an email, the 9mm came pack stolen 2 years ago. The FBI planted the gun on him. Serial #54119868. I have been unable to verify any such email was released. However, a fellow contributor is friends with the daughter of LaVoy Finicum and is researching the issue to determine whether this is valid information or disinformation. After all, we want to make sure that a claim is valid and can document it. As we are able to do that, we will update this article. 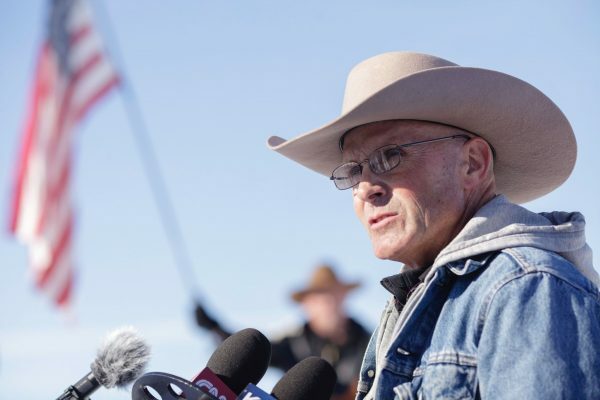 We do know is that Finicum was only seen with a rifle and a revolver. “When they left to go over to the other county, all of them left their weapons behind. As far as Ammon wasn’t armed, LaVoy wasn’t armed, all of LaVoys weapons were at the refuge when he left,” Cooper said.